What is a Video Learning Activity? How are Video Learning Activities made? What is the review process for Video Learning Activities? Q: What are your VLA's, and how do they differ from your other content? A: VLA's are our premium product! They are accredited by the ANCC, and undergo a rigorous production and development process. An evaluation survey designed to determine how your knowledge has been strengthened and enhanced by completing the VLA, and to measure your satisfaction with it. Q: What is the process for making VLA's? A: Our VLA's are filmed in our Head Offices in Melbourne, in our state-of-the-art film studio. 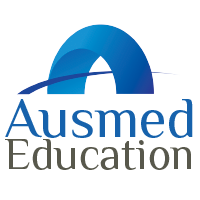 The footage then goes through a rigorous editing and review process until it is finalised, before it is uploaded and published on the Ausmed website. A: VLA's are reviewed every 1-3 years, depending on how quickly the Education Department and the author/presenter believe the content will change. If updates are needed on one of our VLA's, our Education Department may archive (remove) it, and either update the content accordingly or redevelop and republish the VLA. Q: I have an idea for a Video Learning Activity. Where can I submit it? A: To submit an idea for a VLA, please send us an email, for the attention of the 'Education Department'.